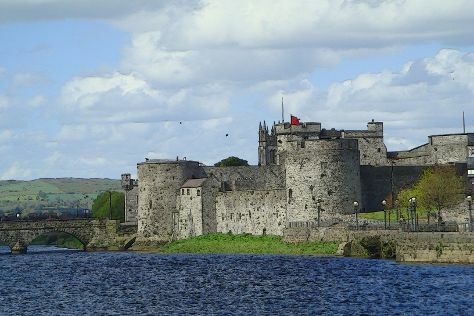 Founded by Vikings over a thousand years ago, Limerick sits at the head of the Shannon River's broadening estuary. Venture out of the city with trips to Cliffs of Moher (in Liscannor), Ballyvaughan (Aillwee Cave & Burren Birds of Prey Centre) and The Burren Smokehouse, (in Lisdoonvarna). There's much more to do: explore the historical opulence of Bunratty Castle, get outside with Go With The Flow - River Adventures, contemplate in the serene atmosphere at The Black Abbey, and go for a walk through Kilkee Cliff Walk. To find more things to do, traveler tips, photos, and other tourist information, use the Limerick vacation builder. San Francisco, USA to Limerick is an approximately 17.5-hour flight. Traveling from San Francisco to Limerick, you'll lose 8 hours due to the time zone difference. Traveling from San Francisco in August, expect nights in Limerick to be about the same, around 54°F, while days are a bit cooler, around 66°F. Finish your sightseeing early on the 7th (Mon) to allow enough time to travel to San Francisco. Step out of San Francisco with an excursion to Wine Tours & Tastings in Napa--about 1h 10 min away. 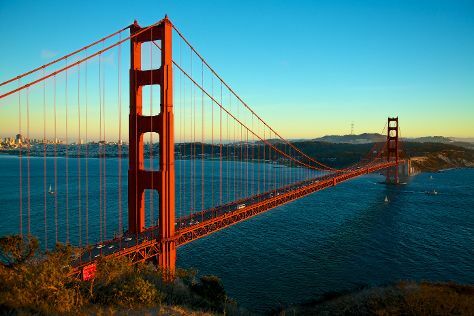 The adventure continues: head off the coast to Alcatraz Island, snap pictures at Golden Gate Bridge, engage your brain at The Exploratorium, and stroll through Golden Gate Park. To find more things to do, traveler tips, other places to visit, and more tourist information, read our San Francisco trip itinerary maker. The Route module can help you plan travel from Limerick to San Francisco. Due to the time zone difference, you'll gain 8 hours traveling from Limerick to San Francisco. Traveling from Limerick in August, expect nights in San Francisco to be about the same, around 58°F, while days are a bit warmer, around 72°F. Cap off your sightseeing on the 15th (Tue) early enough to travel back home.